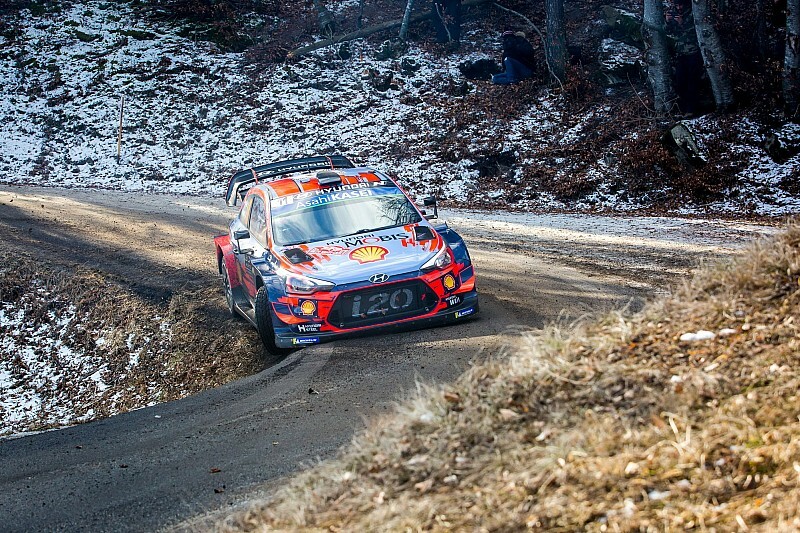 Thierry Neuville set up a tense finish to the 2019 World Rally Championship season-opening Monte Carlo Rally by taking time out of leader Sebastien Ogier on Sunday morning’s two stages.Just 3.2 seconds separates the pair with two stages of the rally to run, while Ott Tanak continued his recovery and has moved ahead of Sebastien Loeb and Jari-Matti Latvala into third in his Toyota Yaris. 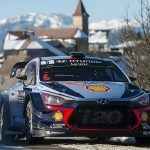 Ogier and Neuville started the morning loop separated by 4.3s in the classification, but Neuville appeared faster on the opening test – the 11.30-mile La Bollene Vesubie-Peira Cava test – and had been as much as 2.1s up on Ogier at the final split. But six-time champion Ogier clawed back time on the run to the stage finish and limited his time loss to a second, and was only a tenth slower than Hyundai driver Neuville on SS14, the 8.43-mile La Cabanette-Col de Braus stage. 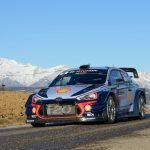 A similar loss of time on the repeat loop of stages that will conclude the rally would still allow Ogier to equal Loeb’s haul of seven Monte Carlo Rally wins on his first start back at the Citroen squad. 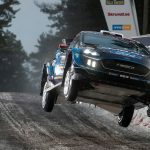 Tanak was the star of Saturday’s stages, winning all four of the day’s tests, and the Estonian clinched a further two stage wins on Sunday morning as he elevated himself back into a podium position. The Toyota driver had led the rally overnight on Thursday, but lost the lead on Friday morning. He then forfeited a heap of time that afternoon when he had to change a puncture on a stage. But Tanak’s charge, allied to retirements in front of him, meant he started Sunday’s first loop fifth and within 18s of third-place Loeb. 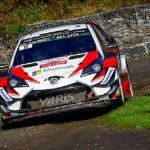 His first stage win of the morning brought him to within 6s of the podium and he then jumped both Loeb and Latvala – who struggled with confidence in his Yaris – with a sixth-straight stage win on SS14. Loeb is now 2.8s behind Tanak on his first start in Hyundai colours, with Latvala a further second behind. 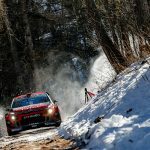 Kris Meeke, in a lonely sixth after losing time with a wheel-rim drama on Friday, set the fourth-fastest times on both of Sunday morning’s stages.